"The School of Athens (detail 1) (Stanza della Segnatura)"
This wall painting, located in the Vatican, contains pictures of many famous philosophers. 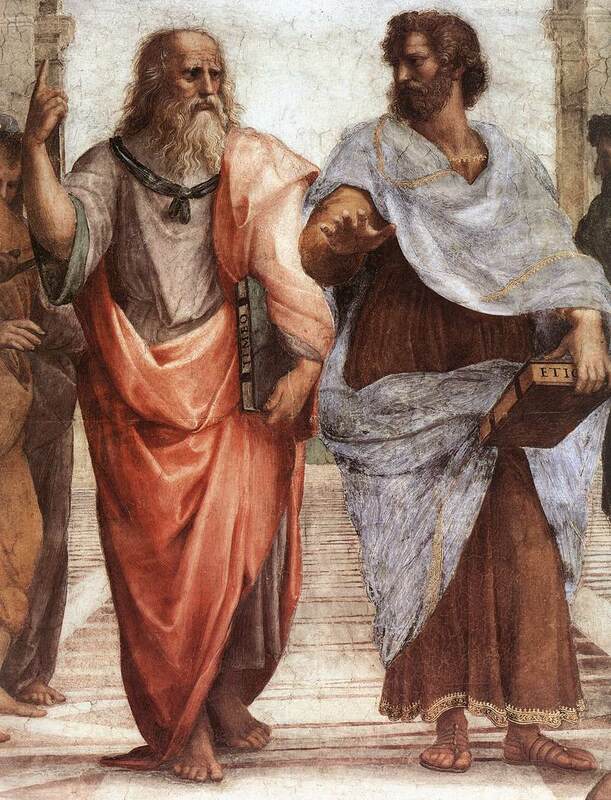 Plato and Aristotle are the two in the middle. As an inside joke, Raphael based Plato’s face on fellow artist Leonardo da Vinci. He also included Michelangelo and himself elsewhere in the painting.